At least 30 people have been killed after a large avalanche hit an alpine hamlet in the Pakistani north western district of Kohistan. "Initial reports say about 40 people are stranded while 30 dead bodies have been recovered," local media reported on Thursday, Press TV reports. Police official Mohammad Sadiq said that rescue teams had recovered 20 dead bodies from the Kohistan avalanche about 220 kilometres (138 miles) north of the Pakistani capital Islamabad. "We have reports that 30 more people have been buried," he told AFP by telephone from Dasu, the main town in the area. "The avalanche hit Kundian village... We fear that some women and children were also trapped," he said, adding that four houses were completely buried and other buildings were badly damaged. Kundian village, about 75 kilometres from Dasu, is cut off with no phone or communication links, police said, AFP reports. 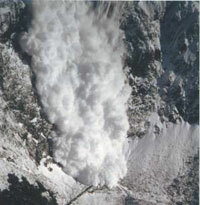 Three small villages were destroyed by the avalanche, the sources said. Initial reports said about 36 people were left missing. Villagers have recovered 19 dead bodies so far. Search operation for the trapped people is underway. Local officials have requested for helicopters for the rescue operation, Bernama informs.